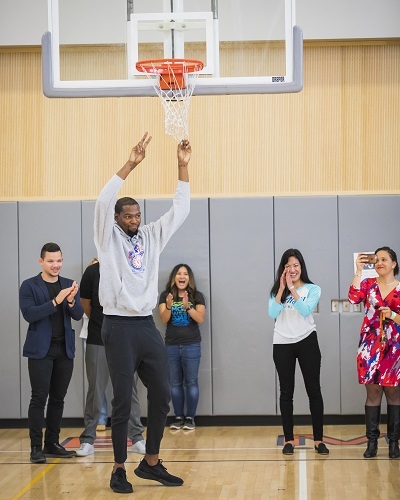 Hundreds of middle schoolers screamed in delight last Friday when Kevin Durant’s 6-foot 9-inch frame emerged onstage at Willie Brown Middle School in San Francisco. 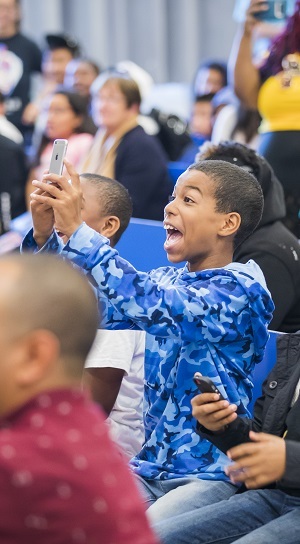 In partnership with Alaska Airlines, the San Francisco Unified School District (SFUSD) and the San Francisco Police Department (SFPD), Durant’s surprise visit was a collective effort to support the students as they start a new school year, and remind them that back-to-school is an opportunity for new beginnings. 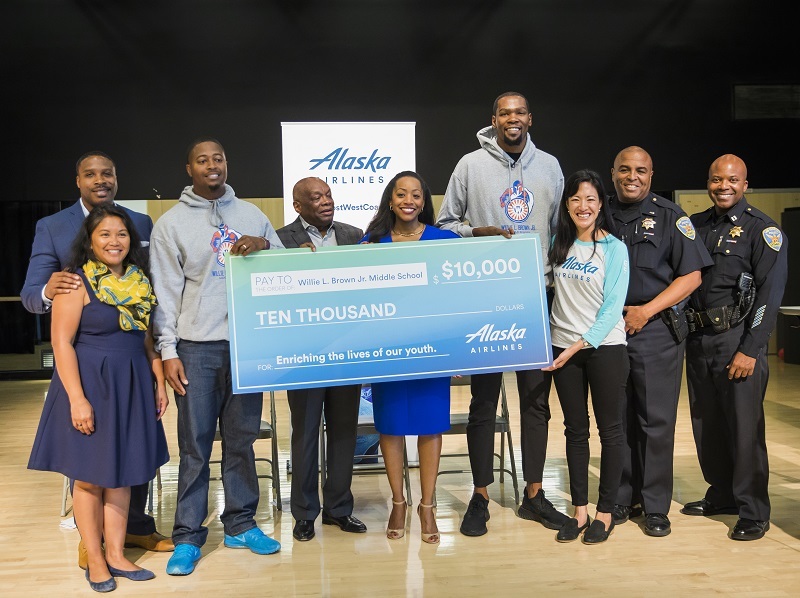 To help purchase much-needed school supplies and classroom equipment, Alaska presented a $10,000 donation to Willie Brown Middle School. 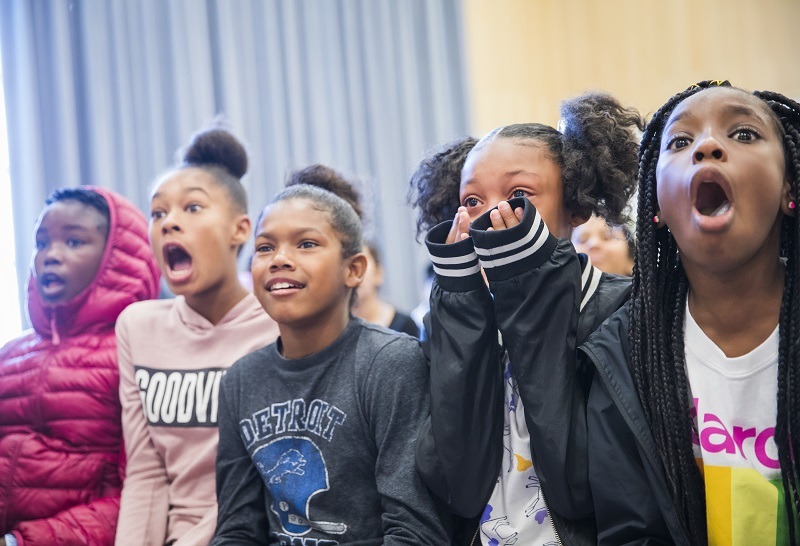 The students also got some advice and encouragement from former Mayor Willie Brown, the namesake of the Bayview middle school; San Francisco Board of Supervisors President Malia Cohen; SFUSD Superintendent Dr. Vincent Matthews; and Alaska Airlines Bay Area VP Annabel Chang. Speeches centered around the importance of education in achieving lifetime goals – and ensuring success through hard work and dedication. 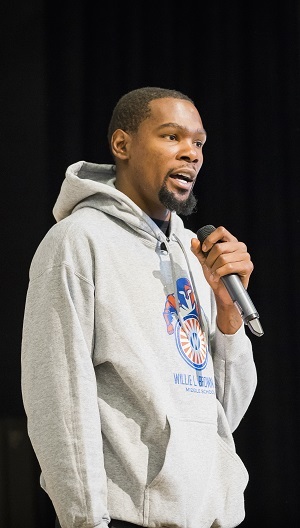 “Huge shout-out to Alaska Airlines for inviting Kevin Durant here to the school today to greet our students, and for donating the $10,000 check so we can improve our Maker Space and Willie Brown Bookstore,” added Willie Brown Middle School Principal Charleston Brown. Continuing the surprise, a select group of eighth-grade students, who made the honor roll for good grades the previous year, were chosen to participate in a game of “knockout basketball” in the school’s indoor gym. 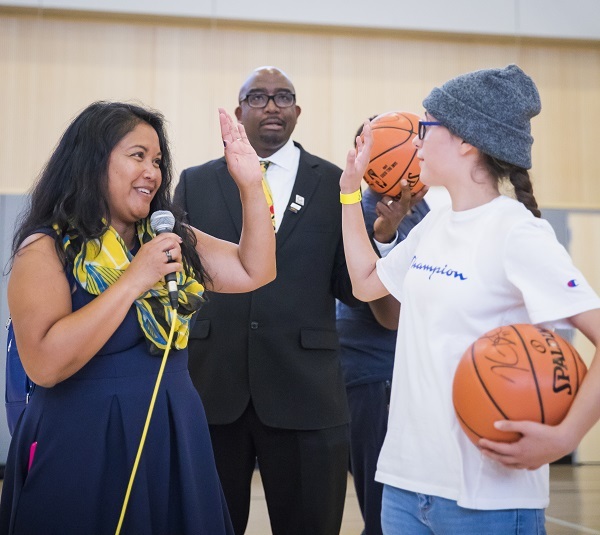 The energy was high on the court – as two lucky winners received a KD-signed basketball. 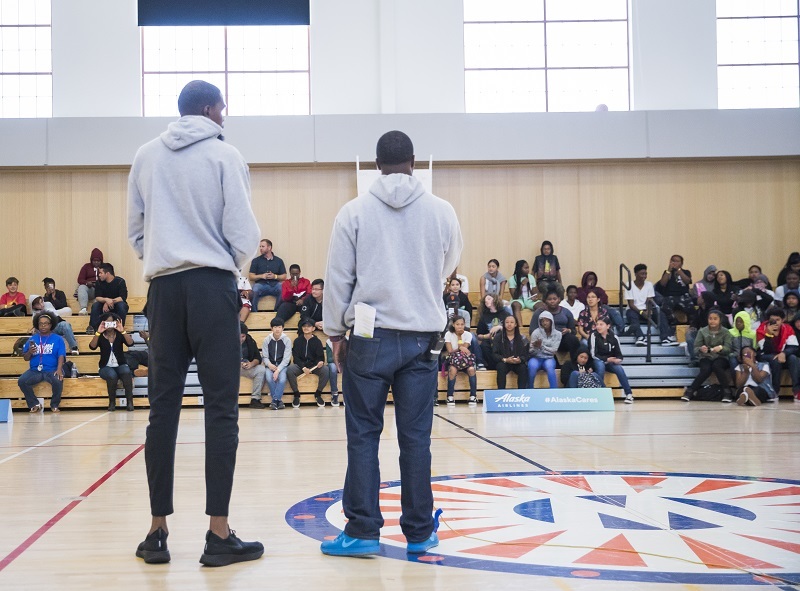 Durant also stopped by to share some final words of encouragement, congratulate those who had just made the school’s basketball team, and gather for a selfie.